A pre-school has been slammed by Ofsted for failing to spot whether children as young as two might become jihadis. Little Ducklings, in Sussex, has been punished because the watchdog ruled staff did not know how to protect children who may be at risk of radicalisation. 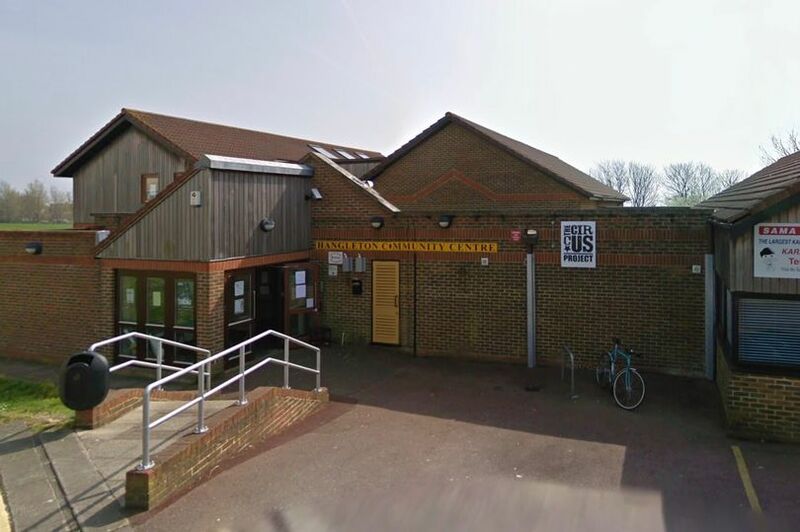 The ruling by Ofsted was described as 'ludicrous' today but the nursery , in Hangleton Community Centre, near Hove, fears it can't be overturned. It will have a damaging impact because, unless there is a last-minute U-turn, Little Ducklings will be 'marked down' when the Government watchdog's national assessment ratings are published. Amazingly, the nursery, for children aged two to 'rising fives', has had its Ofsted grade lowered after staff were warned they must learn how to spot which youngsters may be at risk of being radicalised and turned by family members or others into potential IS terrorists , prepared to kill or volunteer as suicide bombers. The Ofsted report said: "Although the manager and staff have reviewed some aspects of their safeguarding knowledge and updated the policies and procedures, not all staff have a secure understanding of how to protect children who may be at risk from extreme behaviours or views." One mum, who asked not to be named because it might have repercussions for her four-year-old son at the nursery, said: "This is bonkers - absolutely ludicrous. "Of course it's important to stop children being radicalised, but come on. Little Ducklings hardly strikes you as a hotbed for international terrorism." Ofsted inspectors said the nursery 'must ensure all staff use the information gained through training to improve their knowledge of the prevent duty and wider safeguarding issues' by tomorrow in order to meet the requirements of the early years foundation stage and the Childcare Register. Staff say this deadline has now been extended until the pre-school opens for the new autumn term in September. The impact on Little Ducklings' reputation could be immense as many parents study the Ofsted ratings before deciding which pre-school to choose for their youngsters. The pre-school is an important 'feeder' for many families who are even prepared to up sticks and move house to be in the catchment area for the primary and secondary schools of their choice as their child gets older. A spokeswoman from the pre-school's management committee said they were 'disappointed' with the Ofsted verdict. "We are working closely with the early years team at the council who are supporting us to help improve our rating" she said. "We are also working alongside Ofsted and informing them of our plans for improvement which includes refreshing staff training on safeguarding and risk." It is a big turn-around for the charity-run nursery, in Harmsworth Crescent, which was rated outstanding in all areas by Ofsted in 2015. Ofsted now say Little Ducklings requires improvement, partly due to 'safeguarding knowledge'. The inspectors said 'some staff are less secure on their understanding of wider safeguarding issues relating to the prevent duty'. Under the Counter-Terrorism and Security Act 2015, schools and childcare providers must adhere to the 'prevent' duty, which means staff must be able to identify children who may be vulnerable to radicalisation. The duty stipulates that protecting children from radicalisation should be seen by schools and childcare providers as part of their safeguarding duties. It is supposed to be similar to protecting children from other harms, such as drugs and sexual exploitation, whether from within their family or from outside influences. The report did not say there is any evidence of radicalisation at the nursery; in fact it said the children seemed 'happy and settled' and parents spoke highly about the care their offspring received. Addressing the need to watch out for problems such as drugs or sexual abuse, Ofsted added: "The arrangements for safeguarding are effective. "The management team and staff know what to do if there are any concerns about a child's welfare or a member of staff, including management. "Overall, the management team and staff have an appropriate awareness of the signs and symptoms of possible abuse." Peter Kyle, MP for Hove and Portslade, said: "Clearly in this case there is work to do in some key areas but thanks to this inspection report we know where the challenges are and I'll be doing all I can to support them, as I know the whole team there will be doing what it can to get things back on track without delay."